What Have I Achieved In 2016? This has been the year I’ve put my writing out into the world, although I’ve been working on the Dominions books since the start of 2015, and so this is really a look back over two years. I’ve been keeping track of the time I’ve spent on writing (and other aspects of ‘getting stories out there’), and so I can see how I’ve managed to carve out more time each week, and how I’ve increased the time I’ve spent on ‘non-story’ tasks like marketing (including writing stuff for this website). I’ve kept a track of my wordcount, and I’m faster now, which is helping me get first drafts done quicker (although, in some cases, the editing is taking longer). I managed to do 50k in a week over NaNoWriMo, which isn’t too shabby. And I’ve made a start on the whole marketing side of things. I have this website. I’ve got covers that I like for the books, and I’ve had them edited. I’ve spent time on the product descriptions. I’ve been listening to podcasts and reading up on all aspects of writing and publishing over the last couple of years, and I’m starting to put some of this knowledge to work. In some ways, getting a book out into the world is a major achievement, but in other ways it isn’t much at all. Many others have done just that, especially with the ease of independent publishing. One book is nothing. There are people producing a book each month. There are others making a killing with Facebook ads, and building a career from a few titles. There are independently published writers who have gone on to become not quite household names, but definitely people with strong, healthy reputations and careers. Yet they all started from that first book. And now, with three books out, I’ve made a start. I haven’t made a great deal of money (in fact, this whole venture has cost me so far), but I didn’t expect to earn back expenses‌—‌not yet, anyway. I’m learning to split this ‘other job’ into two sides‌—‌writing and marketing. The writing is the fun, creative part‌—‌producing a story and refining it to make it the best I can. And the marketing side is what is needed to get it out into the world and help others see it. I have started to see that, at least in part, I am running a small business. Very few businesses make a profit over their first few months or years. They have start-up costs that need to be recouped (in my case, the cost of covers and editing, as well as expenses around the website and so on). They take time to grow. Many fail. But, with writing, I have an advantage. I can do this around my day job. At the moment, anything the books bring in is a bonus. And, even if they never pay back their expenses, I can still enjoy writing. That’s the fall-back position, though. I want to do what I can to make the business of writing work for me. I need to build on what I’ve done this year. I will release at least two more Dominions novels. Along with this, I have a few shorter works in progress, and I will aim to have at least two of these out there, either as mailing list exclusives or on sale wide. I will release three books in a new series. I’m working on this at the moment (the initial draft of the first book is done, and I have ideas for the follow-ups), and it looks like being a complete trilogy (although that might change). These books will be shorter (50-60k, whereas the Dominions novels tend to be around the 100k mark), so I think bringing out all three over the year is achievable. I will explore more marketing ideas. One of the reasons for starting a second series while Dominions is still on the go is to give me more content to play with. Much as I like the idea of having my books ‘wide’ (available everywhere I can put them), being exclusive to Amazon through Kindle Unlimited does have certain benefits, and having a second series will enable me to explore this option. 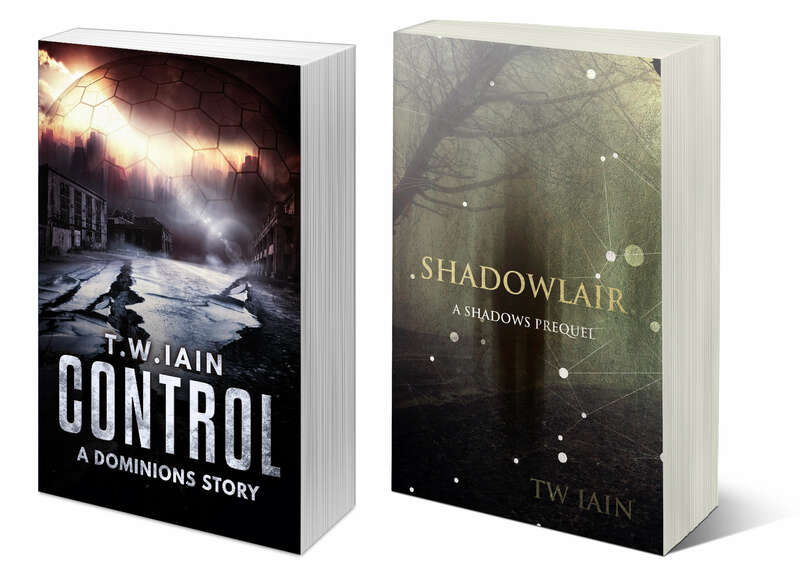 Also, as I release more Dominions novels, I can do more promotions on the first book. I intend to put the first three in a bundle, although I’m not sure if this will be next year or in 2018. And I will also have print versions of the Dominions books by the end of 2017. I will keep this website regularly updated. I think my current schedule is sustainable, with one post and one short story every fortnight, but I might consider posting more often. I’m enjoying the short stories‌—‌they are not only fun exercises, but they also give me a break from the books. But the posts need to be tighter. I feel I tend to ramble (like I’m starting to do now), and if I focus more, they’ll read better, be shorter but to the point, and that might mean I can produce more of them. I will communicate more with others. Okay, this could be (will be?) a hard one. I like writing because I can shut myself off from everything else. I’m pretty introverted, so reaching out is uncomfortable. But I realise it’s something I need to do. And so I’ll work on social media, finding out how different platforms work and which ones are the least uncomfortable. I have a mailing list set up, but I need to learn more about how to use that‌—‌when people sign up, I want them to feel that they are getting something in return for their e-mail address, beyond the free book. I realise this is vague as a target, but I don’t want to put figures on this. I don’t want to aim for so many followers or whatever, because that isn’t the point. I’d prefer a handful of people who read every e-mail or post rather than a few hundred who might run their eyes over something if I’m lucky. I want to use social media to reach both potential readers and people who can help me. I’m not aiming for quantity, but quality. I will improve my writing. I know this is another vague target, and will be constantly on-going. It’s very subjective‌—‌a book that one person dismisses as badly written might be another person’s favourite. But I need to be as happy as I can be with my own writing. I need to keep reading, both craft books and fiction, in order to learn how others do things. I need to keep editing my own writing, applying the lessons I learn. And maybe there is a way to make this more specific. By the end of the year, I want to be able to look back at the books I’ve brought out so far and feel a tinge of embarrassment at some of the writing. I want to be able to see that I am improving. I will be more active in my learning. Along with reading, I’ve been listening to various podcasts since the start of 2015, and the number of these that I follow has increased. I’m lucky in having a day-job that allows me to wear headphones and listen to stuff every so often. I’ve heard so many people give fantastic advice, and much of is has sunk in. But now, I need to be more pro-active in this. Over 2017, I’ll have a ‘good ideas’ list that I’ll add to whenever I hear or read something that might be useful, and I’ll make a note of what I’ve used. Looking back over that list, there seems to be a lot to do. But that’s for the whole year‌—‌twelve months, fifty-two weeks. I’ve made a start, and I know I can find time for different tasks. I look forward to these quiet times of the mornings, with nobody else around and the sky still dark outside, and getting up early is now a habit that I can use. I know I can achieve everything I’ve set out above, and I’m already anticipating the end of the year, when I look back on how far I’ve come. And yet, I’ll still have a long way to go. See, this isn’t a race to the end of the year. This whole writing and independent publishing thing isn’t a case of reaching the end and stopping. There is no end. It’s a constantly evolving process. I’ve made a start, proved to myself that I can write and put that writing out into the world. Over 2017, I need to capitalise on that and improve, so that I can do even more in 2018. And that all starts today.